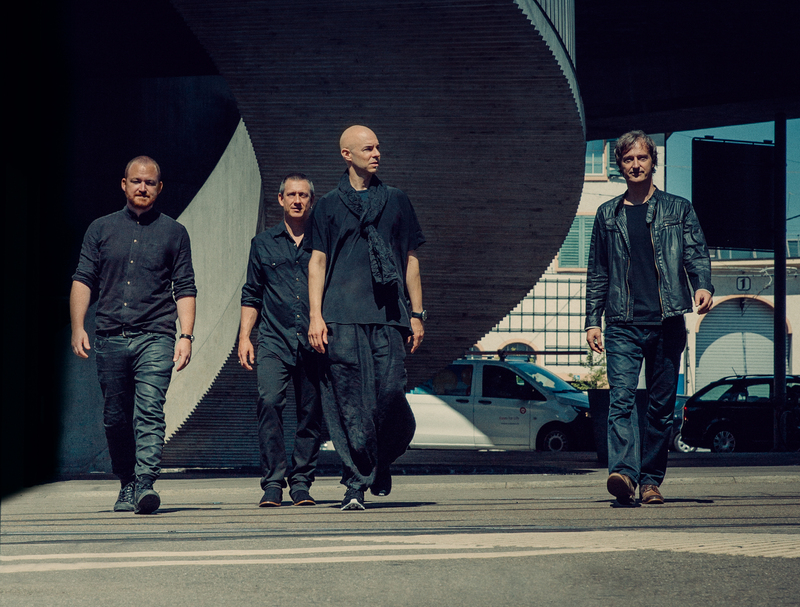 We just saw ECM artists Nik Bärtsch’s RONIN play at the Big Ears Festival on Sunday and their only other US show [the rest this year are in Europe] will take place tonight from 8:00-9:30 p.m. at the Art Ovation Hotel in Sarasota, Florida. Does the sound of a jazz band who can make King Crimson sound like ABBA® in any way appeal to you? Do you like interlocking “difficult” time signatures that swirl and coalesce for 20-40 minutes before concluding? Then hit that email link if you are within earshot of Sarasota, Florida and get prepared to have your little mind BLOWN TONIGHT by the brilliant musicianship of this quartet. My wife is highly resistant to jazz but was raving after their performance; clamoring to the merch table to get her CD signed. Me? I forgot to breathe for an hour! This entry was posted in Live Music and tagged 2019, jazz, Nik Bartsch's RONIN. Bookmark the permalink. I had never heard of this guy before, but I am listening now on Spotify and really enjoying it. Is there any particular album I should be sure and check out? Mark Moerman – I dunno. They only played two songs during their hour long set! We bought the new CD but my wife took it today so I have not had the pleasure yet. Your guess may be as good as mine.